Welcome to FEATHERED NEST FRIDAY NO. 4!! This week- I decided to start dressing up the window boxes on our house. I have a window box on nearly every window- they really add charm! that I would be pulling out the pumpkins and loading some window boxes up!! Love the red geranium, bacopa and pumpkins mingling together! I'll be working on getting some more done this weekend! I cannot believe it has already been a month since I started hosting this party! I have met so many new friends and gotten so much inspiration! Thanks so much for joining in!!! It's hard to choose a couple posts to highlight because they are all so wonderful and I don't know how I feel about highlighting really- I want to highlight everyone!! But I know it is so much fun to be recognized. Debbie at Lakehouse has a most inspiring window box- just delightful! Here's my window box inspiration! white chippy paint and gorgeous reds together- two of my Favorites!! 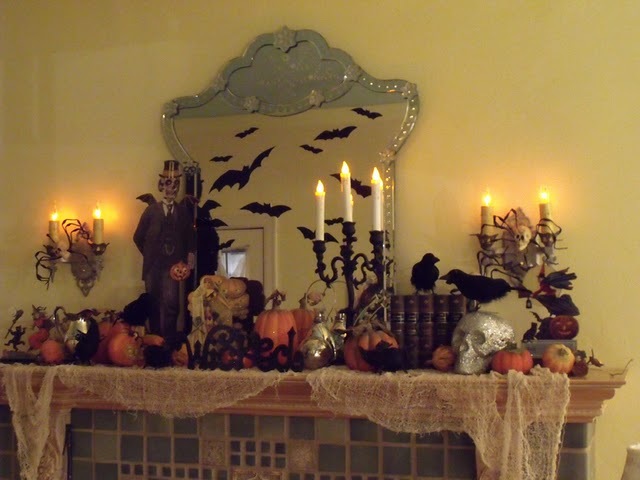 Spooky Halloween mantle inspiration from Nita over at modvintagelife! She has some fantastic creative Halloween ideas!! Love that mirror! Thanks so much to all of you who participated in last weeks party! Hope you were able to visit a lot of the other participants and gather up inspiration! So... let's get this party started!! Linky opens Thursday around 6:00 pm and is open through Sunday 6:00 pm. ~I would just love it if you would become a follower if you aren't already!!! ~Remember to link up your post, not your blogs main page and make sure your post is already published when you link up. I love your pumpkins and geraniums!! Fall is the BEST! Thanks for hosting this fun party! Christie at Three Pixie Lane....old farm door turned table! Very nice pumpkins mixed with the flowers Courtney. Thank you for hosting. I enjoy your wonderful party and blog. Your window boxes look great. Love the pumpkins! Looking forward to your party...thanks for hosting. Hello Courtney ... your window boxes look very festive for Fall! Time does fly! I haven't been able to put anything together to post ~ still recuperating from the weekend! I will be sure to visit all the participants in your party! I'm back for my second party. Thanks so much for hosting. Oh,how I wish I had window boxes. 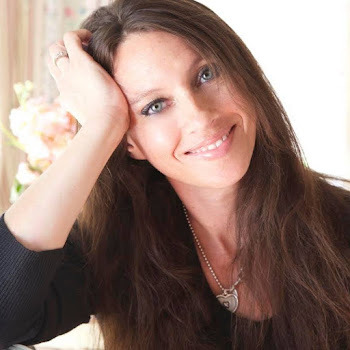 Beautiful and the gal who inspired you last week..just as pretty. Take care! Hi Courtney! Thanks so much for hosting another great party! 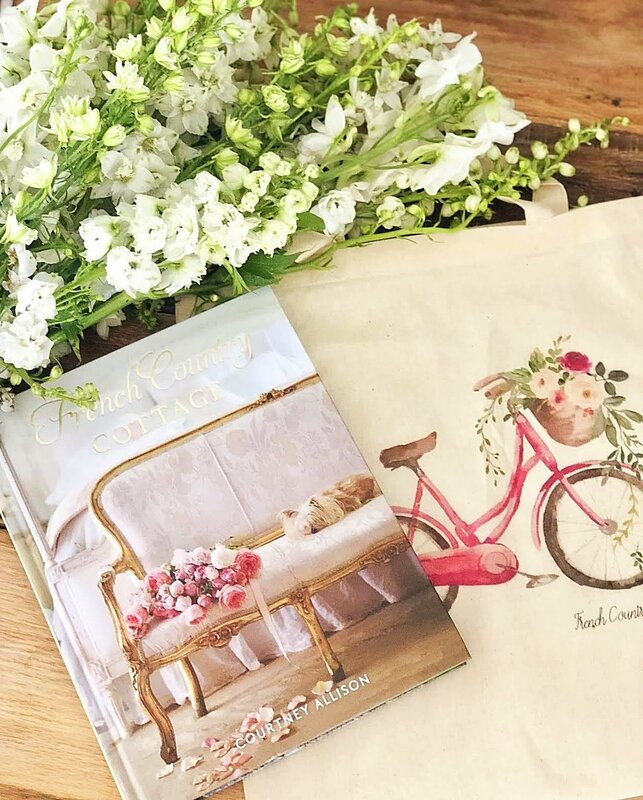 I love, love, love your window boxes and had to laugh because I finally started featuring posts from last weeks party too and had a REALLY hard time narrowing it down...also I'm a total people pleaser so it poses a challenge for me. I'm linking up a REALLY old post but thought it would be fun to put something up I haven't ever linked to a party! Oh Courtney...totally j'adore your pumpkin window display, especially your choices of pumpkins and flowers! Adorable!!! Happy Friday and thanks for hosting another fun party. 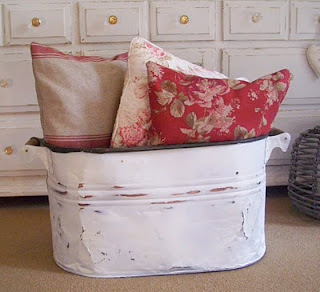 I love the shabby tub with the pillows. Thanks for this awesome idea...I have window boxes on all four windows on the front of my house...yours look great...maybe I will just need to copy you! Thanks for hosting the PARTY! So glad to find your blog. You have great things going on over here. Thanks for stopping by. Thanks again for hosting! 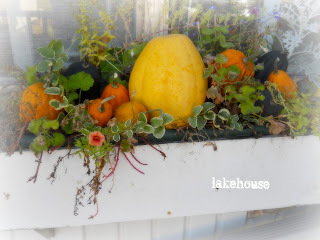 I hate to miss a good party..lol Love your window boxes and amazing warty pumpkin~cool! Also, your new buttons are sweet- I am trying to make one, not easy!!! I enjoyed looking at your beautiful window boxes. I did one myself a few weeks back and have truly enjoyed it. I am linking to the party today and becoming a follower. I always love pumpkins mixed into flower boxes!! ♥ so cute. Thanks for hosting! 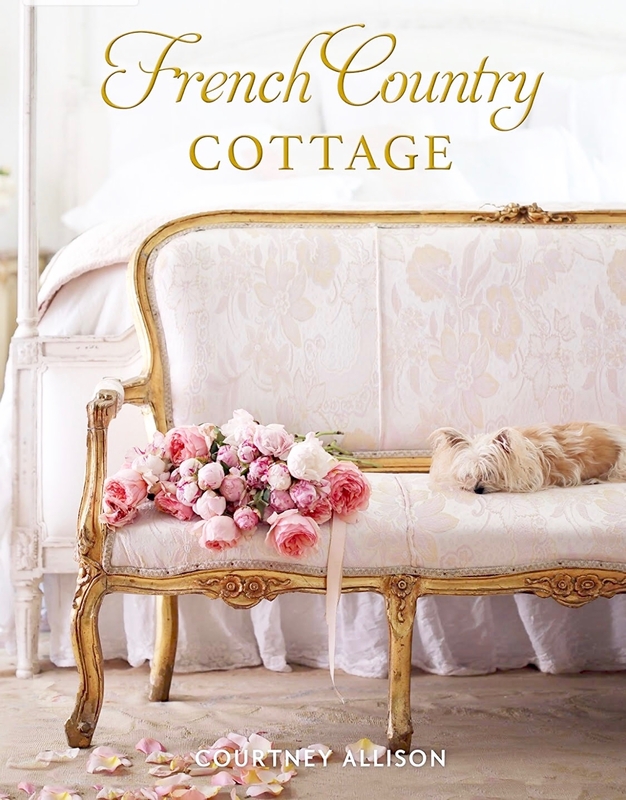 Thanks for stopping by Kensington Cottage to let me know about your party! I was so happy to join! I've also become a follower, you have some wonderful ideas! Thanks so much for visiting me at A Few Good Pieces :) I took your invitation to join your party! I'm looking forward to looking at all the other entries. I'm also your newest follower. Thanks! I'm sorry I'm SO late.I hope it's okay to have linked up now. I'll be sure to link next time. Thanks for stopping by and the invite to link up!! 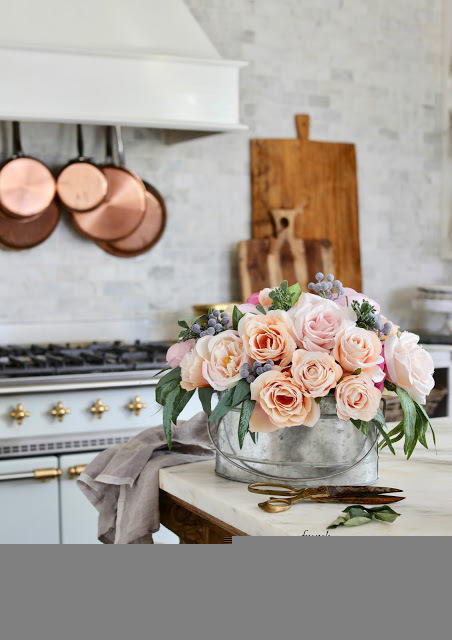 I love the window boxes and the mantel is to die for! Hi Courtney, I love window boxes and so want them for our home. 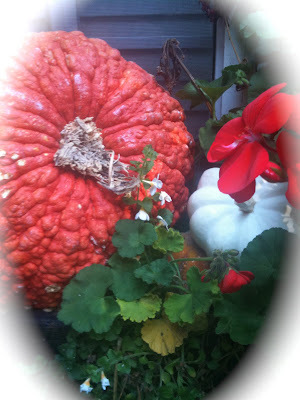 Your geraniums and pumpkins look fabulous! Hi Courtney...your window box is gorgeous!!! I was downstate for the past couple of days, so I missed the party. Will be here this week tho! Thank you for mentioning my blog...you are a sweetie. That's such a good idea! I've never thought about housing seasonal items in a window box but it makes so much sense! Will link up on the next party! Your potted plants look so pretty Courtney. I especially love kale this time of year. I will try to join your linky party sometime soon.